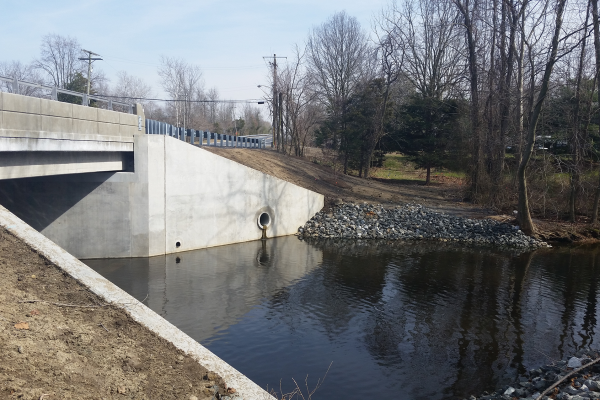 The original project schedule required the project to be completed in four stages over thirty one months. 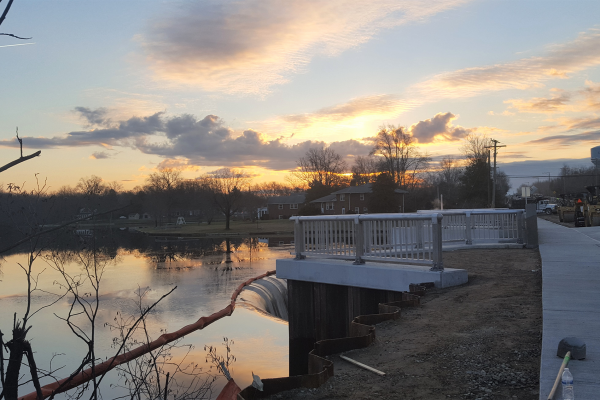 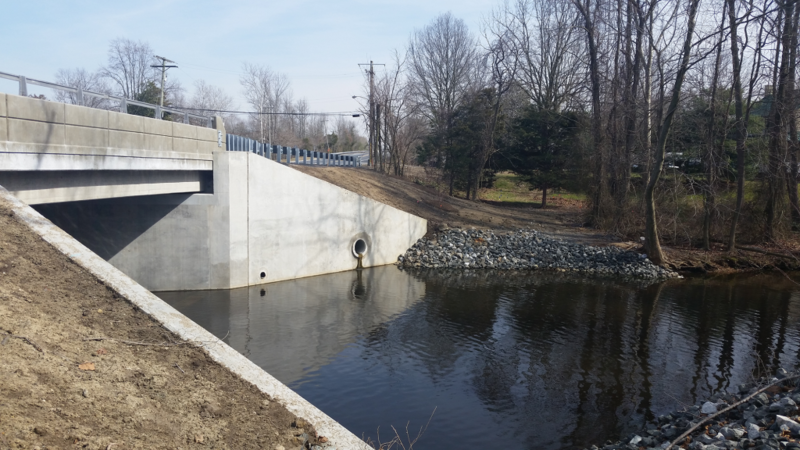 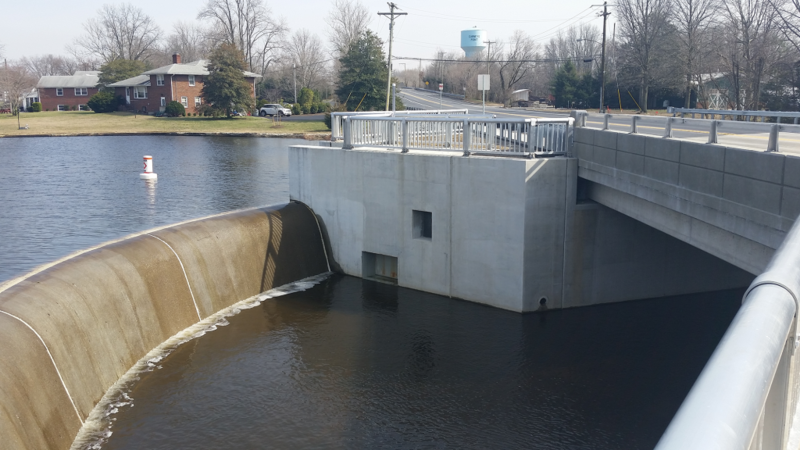 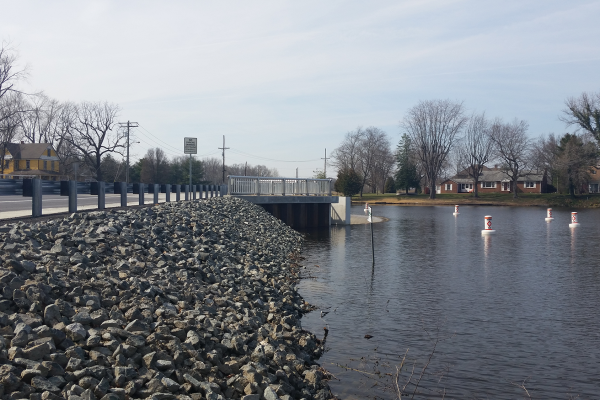 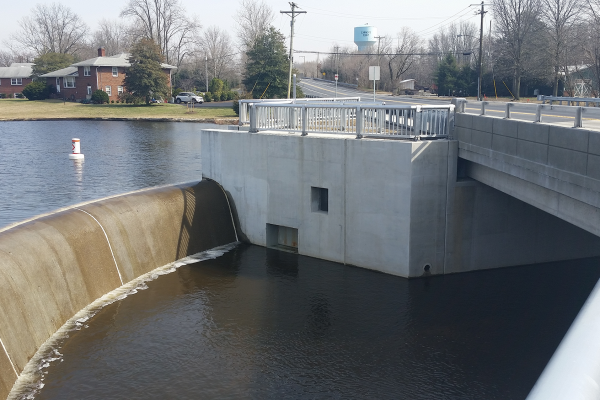 SSI worked with the Municipality, County and NJDOT to provide a value engineering proposal which allowed the project to be completed in 12 Months. 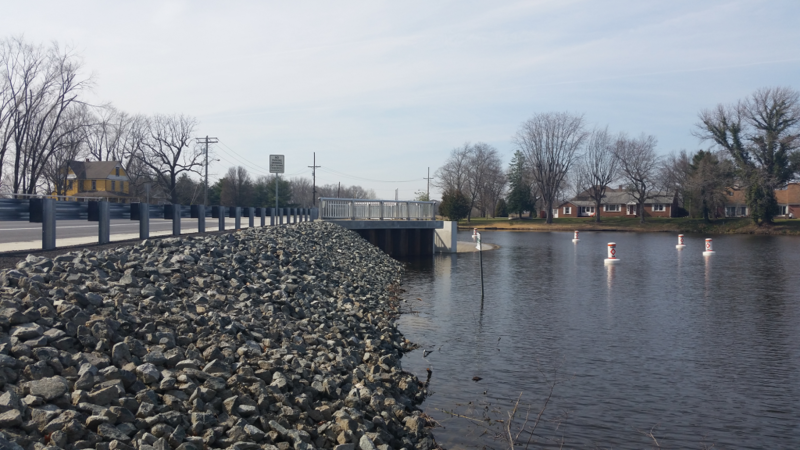 SSI designed and implemented a traffic control plan which included the installation of temporary traffic signal and a full detour to allow the project to be completed in less than half the anticipated schedule. 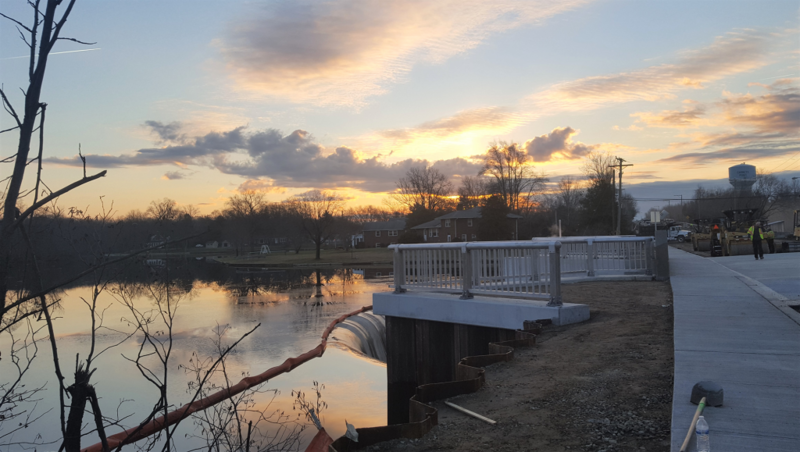 Work included demolition of existing bridge and spillway, 5,000 CY of Excavation, 7,600 LF Pipe Pile, 7,600 SF of Permanent Sheet Pile, 975 CY Structural Concrete, Erection of Precast Concrete Beams, 2,000 LF of Drainage Pipe, and Asphalt Paving.